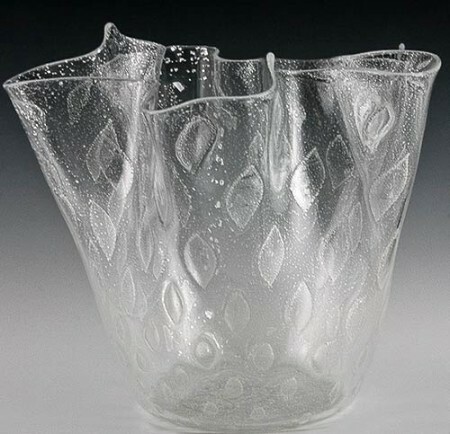 Our Fazzoletta vases are mouth-blown in Murano by local artisans. Approx 5 inches tall and 3 inches diameter on bottom. 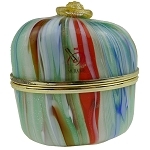 This vase is richly decorated with silver foil in a classic bubble pattern.